I gave in to the temptation, I had to. The glow was blinding and made my heart melt so I placed an order and waited not so patiently for Jeffree Star Skin Frost in Siberian Gold to come to me. Waiting periods are always the most difficult, sigh. So other than the recent purchase I also own Jeffree Star Velour Liquid Lipstick in shade in Masochist. I am sure I will be getting more of the lipsticks. 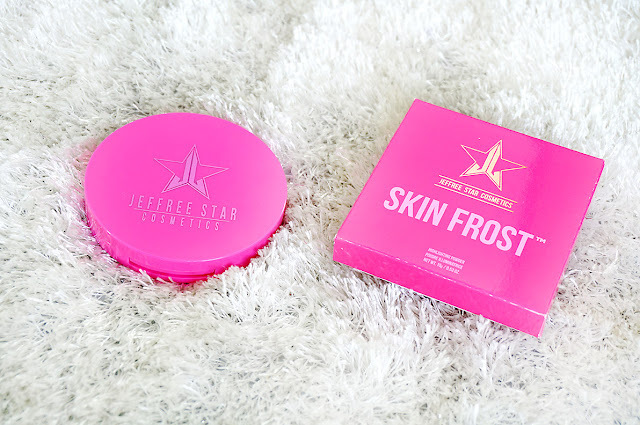 I don't own a lot of Jeffree Star Cosmetics only because I own a lot of makeup in general and earn my own money so every shopping decision requires me to think practically as well ( or I try!). Sigh, I hate responsibilities and all this ADULT crap but oh well. P.S: yes I actually do BUY a lot of makeup even though I am a beauty Blogger, not everything is free, especially not the good stuff, so far. 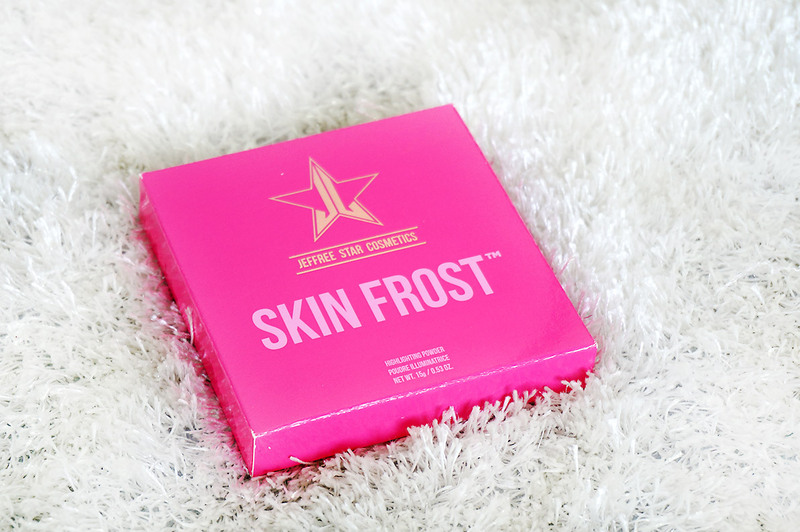 The packaging is sturdy and fun, yet the barbie pink color adds that feminine touch. 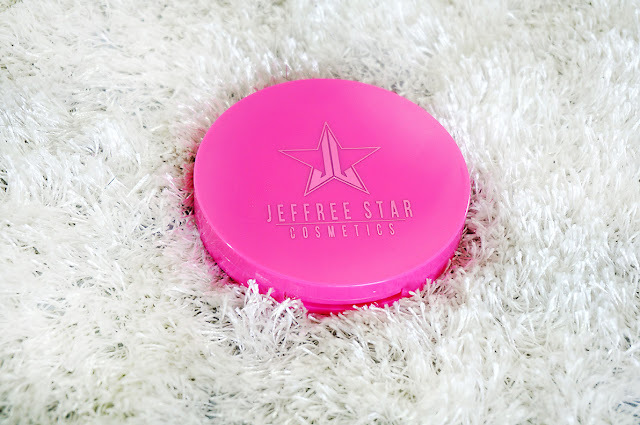 The size is big, 15G/0.53 OZ, for a regular highlighter so even though it hurt a little when I placed an order I know this product will last a very long time, I was assured. 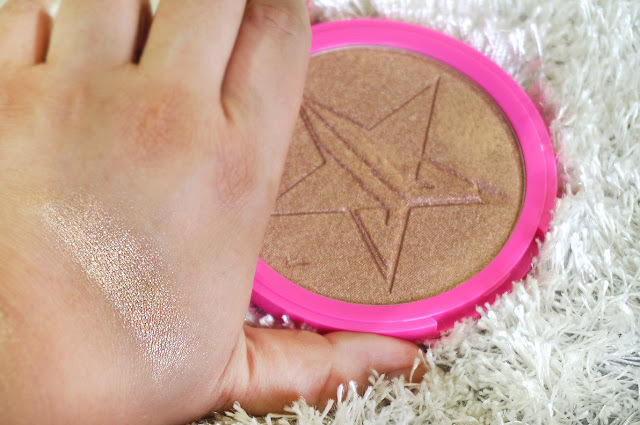 The embedded star is so pretty I didn't even want to swatch the product, let alone use it! 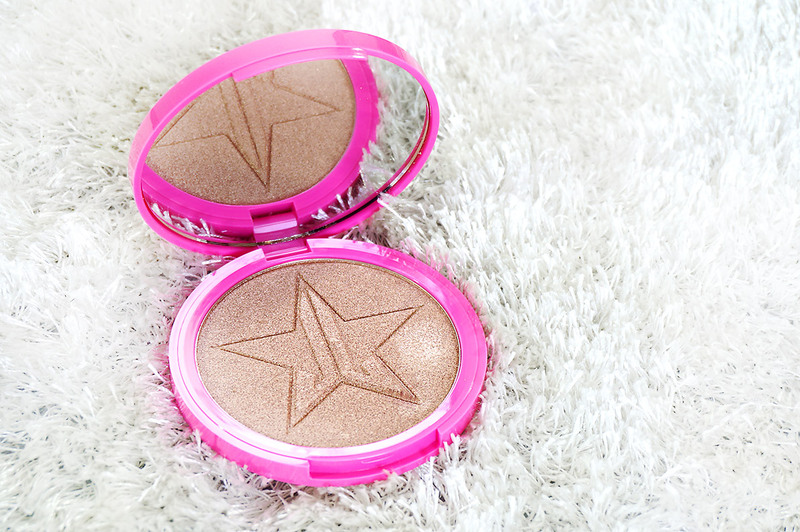 This highlighter is vegan, cruelty-free,talc free, paraben & gluten-free. It is buttery and packed, but to the extent that I was wondering how I will I use my favorite highlighting brush because it may not pick up the product properly, I was just panicking unnecessarily. The highlighter is bomb, very pigmented and when I swatched it there was a subtle shimmer sparkle so I was wondering if it will appear glittery but it didn't. It did nothing but glow, glow, GLOW. I do feel I need a more dense highlighting brush for better application as my existing one is very light. The formula is finely milled so very soft and blend-able. It didn't irritate my skin and was quite easy to apply as well. Pretty long wear and doesn't fade quickly. You can use it wet or dry, I prefer dry as it can get intense due to it's rich pigmentation. 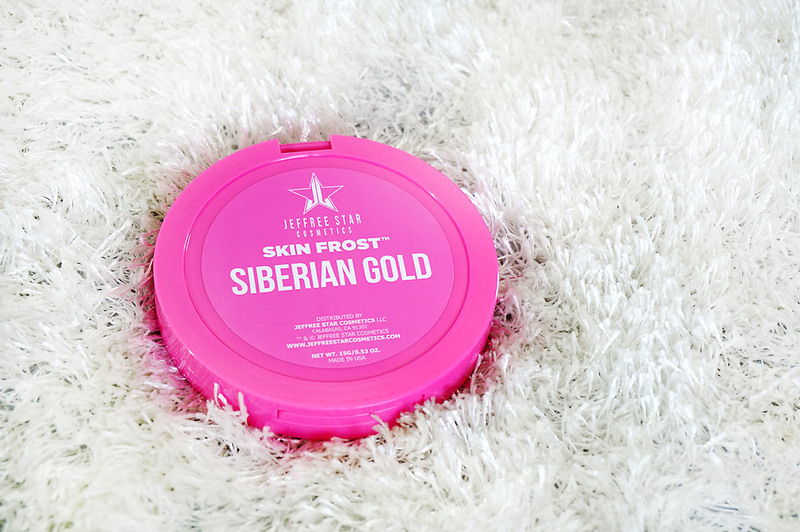 The Siberian Gold shade is not just perfect for Asian skin tone but a great all rounder. 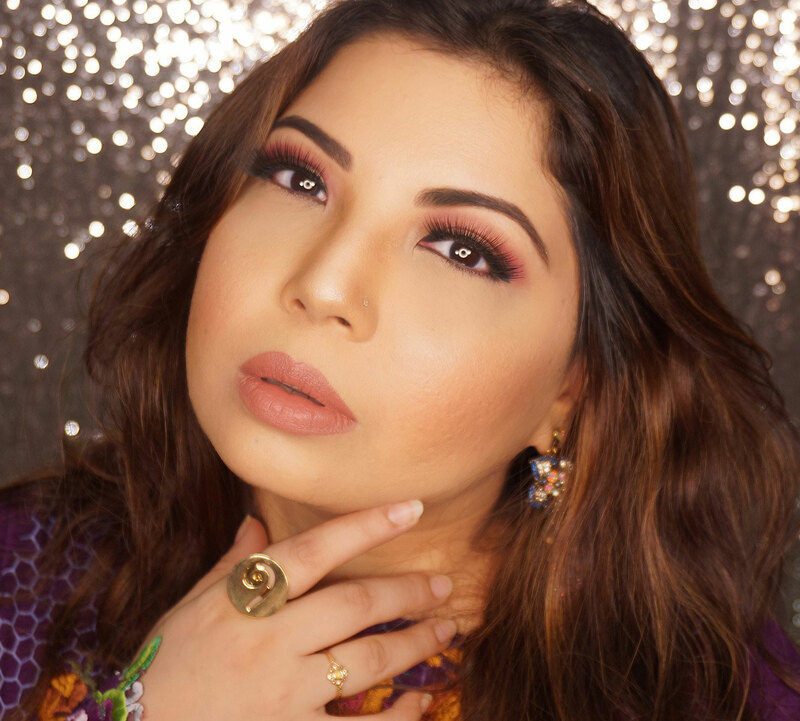 It is a soft champagne gold that adds a glamorous pop. You can even use this as body shimmer/bronzer as well as eye shadow. I ordered mine through The Glam Shop for PKR. 4,150 which was the most reasonable compared to what other FB shops were offering. It retails at $29 on the actual Jeffree Star Cosmetics WEBSITE but it is hard to get it delivered directly to Pakistan, sadness. I am totally in love with this highlighter. 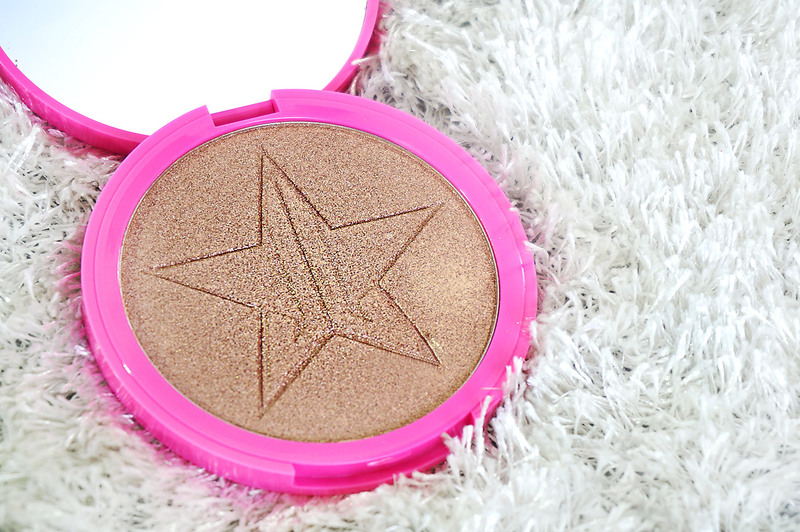 This has become my second go to highlighter now and its perfect for a sun kissed look. Kaching! Wow! It looks super pretty, plus the pictures are beautiul! This product looks like something I can't wait to try!